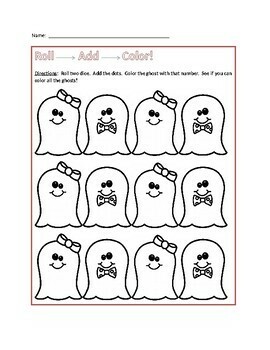 -This purchase includes 5 pages of Holiday dice roll and color games. Included are Christmas, Thanksgiving, Halloween, Easter, and Valentine's Day. -Make as many copies of the pages as you need. Please do not copy any of the images for your own use. -Directions: Students roll two dice. They add the dots. Then color the object on the page with that number total. -Works great as a center activity, partner game, or individual game. -This product is on word document.